those dots at top of it are persons! with Chile across the Andes, and to serve the borax mines of the area. 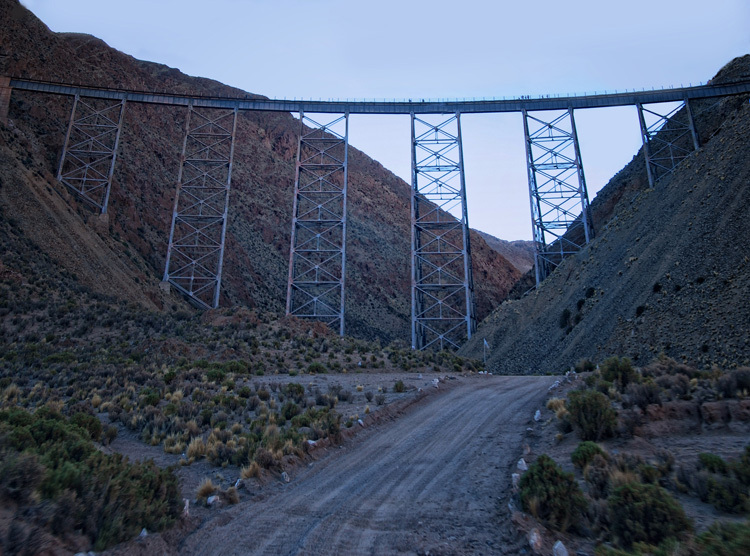 The La Polvorilla viaduct, the highest of the line, was finished on November 7, 1932.
that it started being visited by tourists. The route was designed by US engineer Richard Fontaine Maury, after whom one of the stations has been named. What an amazing perspective of this huge bridge. Truly and engineering achievement.